The Church is managed and maintained by the Parochial Church Council. In medieval times there were no parish registers. Through the efforts of Thomas Cromwell in 1538 a mandate was issued by Henry VIII for churches to maintain parish records. This ordered that every parson, vicar or curate was to enter in a book every wedding, christening and burial in his parish. In 1558 Queen Elizabeth re-confirmed her father's mandate into law and many church records date from that year. 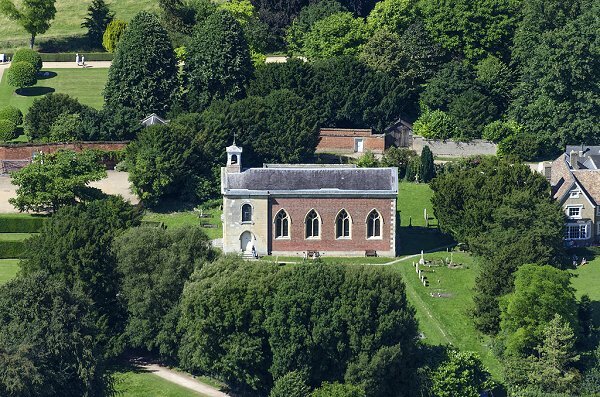 Wimpole's own church records for baptisms, weddings and burials began in 1560. In 1754, the Lord Hardwicke's Act (and yes, that's our Lord Chancellor Hardwicke [1690-1764], interred in his memorial in Wimpole's Chicheley Chapel) required separate registers for banns and marriages. The date given is the date of the baptism, not the date of birth. Information, notes and comments additional to the Wimpole Registers are usually shown within [square brackets] and italics. My thanks and acknowledgments to the Parochial Church Council for Wimpole and St Andrew's Parish Church for allowing the online publication of the Church Registers. 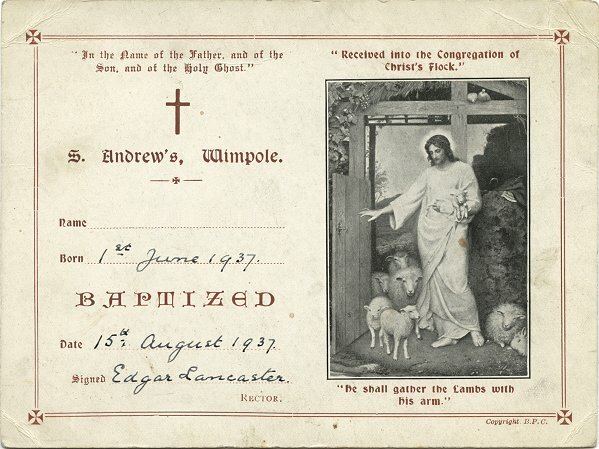 These listings are based on the provided Church Registers for the Parish of Wimpole, as transcribed and collated by T P R Layng in March 1983. Originally typed by C L and A E Hatton. Additional research for this website is by by Steve Odell. I have also compared the Layng transcript below with the commercially available Cambridgeshire Family History Society version. Any significant differences have been so identified. Local parish records on CDs can be purchased from the society. 12 January 1800 DELLER James, son of William and Sarah. 9 February 1800 WHITBY Sarah, daughter of John and Jane. [Yorke] Joseph John, son of Philip and Elizabeth, Earl and Countess of Hardwicke, born 20 August 1800. After 1812, registration of baptisms appears to require the home parish and occupation of the father. Wimpole was a rural agricultural community and the majority of men are described as 'labourer', short for [usually] agricultural or general 'labourer'. This page was last updated on: 30 March 2019. Aerial View of St Andrew's Parish Church 2016. © John Fielding 2016, all rights reserved.